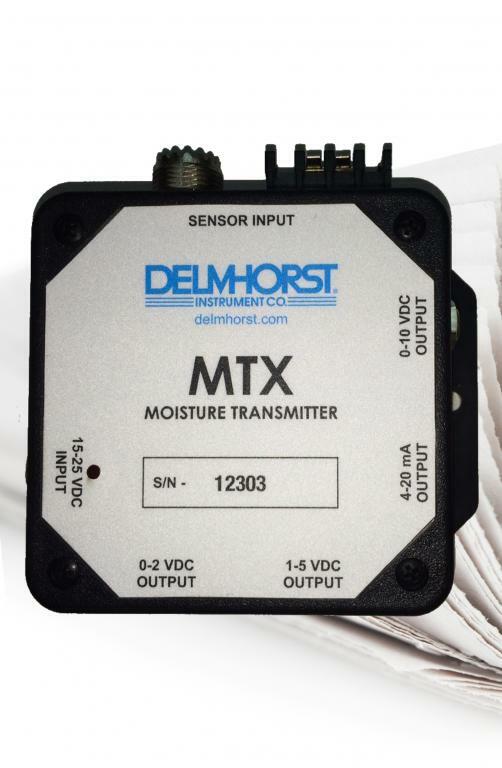 The standard MTX provides a current (4-20mA) or voltage (1-5v, 0-2v) output via 4-wire transmission. Your PC or data logger provides the display and processor. Connect with any standard or special application Delmhorst electrodes. The transmitters are ideally suited for applications requiring continuous monitoring of moisture in paper or other hygroscopic materials and interfacing the sensor to a data logger.